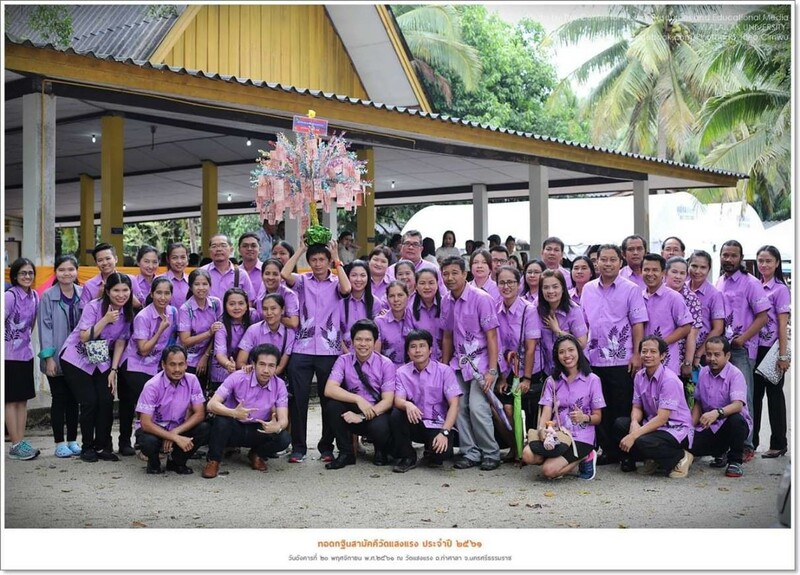 Home / News / The Center for Scientific and Technological Equipments Walailak University Participated in the Kathin Ceremony at Sangrang Temple on 20 November 2018. The Center for Scientific and Technological Equipments Walailak University Participated in the Kathin Ceremony at Sangrang Temple on 20 November 2018. This is from Walailak University. The Kathin Ceremony was held at Sangrang Temple, Tambon Phothong, Amphoe Thasala, Nakhon Si Thammarat Province on November 20, 2018. The Kathin Ceremony was attended by administrators, faculty, staff and students of Walailak University. In this regard, The Center for Scientific and Technological Equipments is another unit under the Walailak University that has joined. On this occasion, we have collected some photos which can be seen from the link below. Previous The Center for Scientific and Technological Equipments Walailak University Science Camp to the 85 students of Wichienmatu School, Trang Province, On 8 – 9 November, 2018. Next The Center for Scientific and Technological Equipments Walailak University joins “WU Big Cleaning Day 5S creates happiness throughout the organization” at Thai Buri Hall on 21 November 2018.